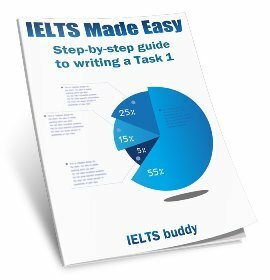 This lesson provides advice on IELTS short answer questions and further practice on True, False, Not Given questions. What can you predict from the title? Skim read the first paragraph. What is the topic? What are the aspects of the topic? What type of language do you expect to be in this passage? 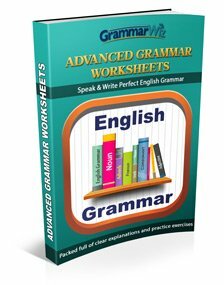 Does the writing include any examples? If so, what are they examples of? 1. A recent newspaper investigation into the growing number of foreign fee-paying students raises some issues for timely reflection. To be blunt, we need to prepare ourselves for a sudden and major increase in population. This new population will not be permanent but it will continue to increase in numbers and make itself at home in New Zealand for the main purpose of intellectual advancement. It will, in effect, be a rotating population but one that produces an increase in the total population at any one time. 2. If you think, as even some Asian students do, that Auckland is already too Asian (one in eight Aucklanders is now Asian), be prepared for it becoming too European or too South American. Our booming education industry still catches some locals by surprise and, depending on your point of view about racial diversity, it may or may not be of comfort to know that it has only just begun. 3. The only limitations to its growth will be the decisions and behaviour of organizations serving these students from overseas who want to study here - whether it is English language or IT skills. And I do not mean just the education function itself: it includes health, transport, property and entertainment. The list increases into all aspects of society as more students arrive from the major continents. 4. My own company has grown 500 per cent in the past four years and our board is anticipating an even higher rate over the next five years. I see no reason we should consider industry growth expectations below this. Early next month we will open a new international language school in Queen St designed to give students internationally accredited English language skills so they can stay longer and study IT courses. Some will go on to our universities. 5. This one new school alone will inject an extra $60 million-odd annually into Auckland's economy. What does this industry growth mean? It could mean a $10 billion (contribution to gross domestic product) industry by the end of this decade, employing 100,000 New Zealanders directly and many more indirectly. 6. The conditions which have created this opportunity are many, but underlying them all are the standards which shape education in this country. Some will argue that whimsical circumstances, such as a favourable exchange rate or our distance from the troubled areas of the world, have caused it all. But without the right internationally recognised education standards we would have no such booming industry. 7. Make no mistake, this is our trump card. As long as we are known for quality education we can develop what we have started regardless of almost any other change of circumstance. Undoubtedly, there are financial benefits for society. But we would be blind not to acknowledge and address the many other implications which the newspaper article began to identify. 8. The growth opportunity is so good that we must effectively evolve as an industry and fast, too. We must eliminate the clumsy, experimental mistake-ridden phase of youth. Fundamentally we must leap from childhood to maturity. 9. But how? Experiences in my company lead me to suggest three main areas to address - total service, performance regulation and long-term planning. By total service I mean accepting some responsibility for students inside and outside of campus. Within two years, my company expects at least 1000 overseas students to be studying at all our six campuses. We must take some responsibility for this size of customer base, as any normal company would. 10. This means we must attract other suppliers as dedicated partners with us - property, insurance, healthcare, transport, social support, the list goes on. Education New Zealand has a valuable role here. 11. This type of care begins in the students' countries of origin, ensuring they have correct information about our country and how different it will be in many small and large ways. Our company, intent on achieving this, is introducing marketing programmes in three continents. Performance regulation will be vital in our leap to adulthood. We cannot leave it up to the Government; it will mean a private sector-Government partnership. 12. I am also not surprised to hear calls for the Government to introduce an industry levy - frankly, just another tax - to "protect" standards. We should keep in mind that foreign students are happy to come here because of our stable Government, virtually non-existent corruption, and education standards. For the Government to come to our support with an extra levy imposition reminds me of an old saying: When a sufficient number of management layers are superimposed on top of each other, it can be assured that disaster is not left to chance. 13. Long-term planning usually begins with a vision agreed by the industry and I will support any immediate efforts in this area. We now have an industry that is arguably our country's third largest export earner. We need to know where we can take this industry, how it fits with society and its place in an increasingly systemic world where people move more freely and technology drives a global economy. Remember with True, False, Not Given questions, you should first see if the statement given agrees with the information in the reading. If it does it is true. Otherwise, it must be false or not given. If the evidence is not there to say that it is false, that means that it could be true or false but you don't know - you cannot know from the information you have been given. 1. The new residents will stay in New Zealand forever? 2. The main reason these people are in New Zealand is to progress academically. 3. There are many Vietnamese people living in New Zealand. 4. The success of the education industry has been happening for many years. 5. People from Auckland are surprised at the number of Asian students there are. 6. All students want to study English and IT. 7. The writer’s company has increased in size over the last few years. 8. The country’s financial situation will benefit from overseas students. 9. There will be less jobs for native speakers in the future. 10. According to the writer, New Zealand's exchange rate and location underpin the opportunities available. Go to the bottom of the page for an explanation of these answers. Read the instructions carefully - these tell you how many words you can use (a maximum of three in this case). 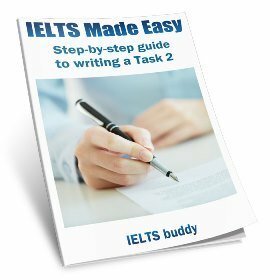 In IELTS short answer questions you should use words from the text rather than your own, and don't change the words. Quickly read through all of the questions so you can get an idea of what information you will have to find in the text. Use key words from the question to help you skim the text quickly to find the information. For example, in the first one, you need to look for "type of care". Remember though that synomys will also be used in the text, so you must be careful when you look for the information. Read the section of the text where you know the answer is carefully to see which words will answer the question. Your answer must make sense grammatically to be correct. 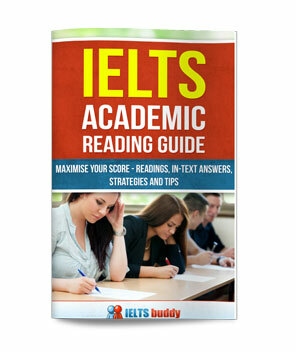 Using the above tips and advice, try to answer the following IELTS short answer questions. You can write your answer in the text box below each question. You can the click at the end to reveal the answers. 11 Where should the type of care the writer discusses initially come from? 12 What will be very important in the education sector's rise to maturity? 13 What does the government want to bring in? 14 Give one reason why students are content to study in New Zealand? 15 What does the ongoing preparation usually start with? 16 How big an export industry is English language teaching? Auckland is already too Asian (one in eight Aucklanders is now Asian), (para. 2) - we are told Asians are in Auckland but we don't know what country they are from. Our booming education industry still catches some locals by surprise. (para 2) - the word 'surprise' is mentioned here but it is nothing to do with surprise at the number of Asian students. People could be surprised but we don't know. This information is not given in the text. ...these students from overseas who want to study here - whether it is English language or IT skills. (para. 3) - It is possible that ALL students want to study English and IT, but we are not told whether this is true or not. There could be other subjects as well.